Terrific Tuesday Challenge - Halloween! It's a candy bar wrapper for an extra large Hersey's bar. 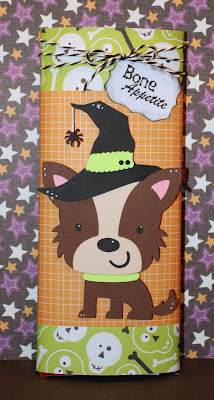 My little witch dog is from Create A Critter cut at about 3.25. The hat is from Happy Hauntings - so cute! 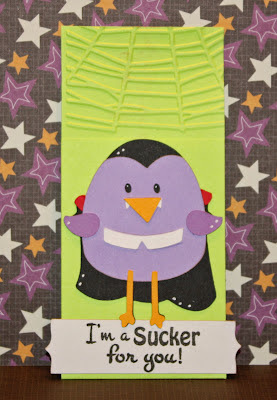 I added some black and white bakers twine and a tag with a stamp from Scrappy Moms Stamps Goosebumps set. 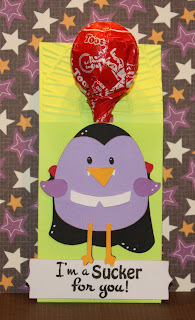 I hope you enjoyed my card and that you will come and join us for the TTC this week! 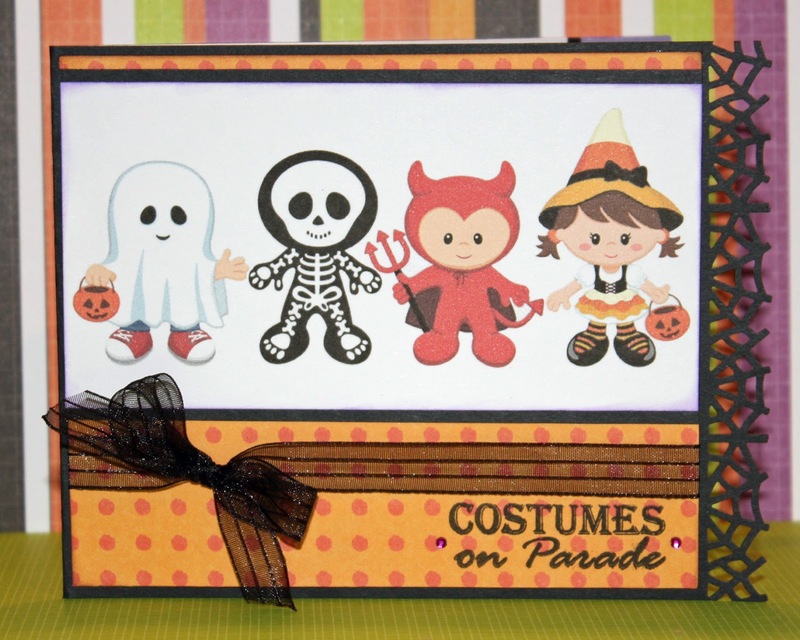 SMS Sneak Peek #2 - Costumes on Parade! Thank you so much for stopping by to take a peek at my card. I hope you have a WONDRFUL day! 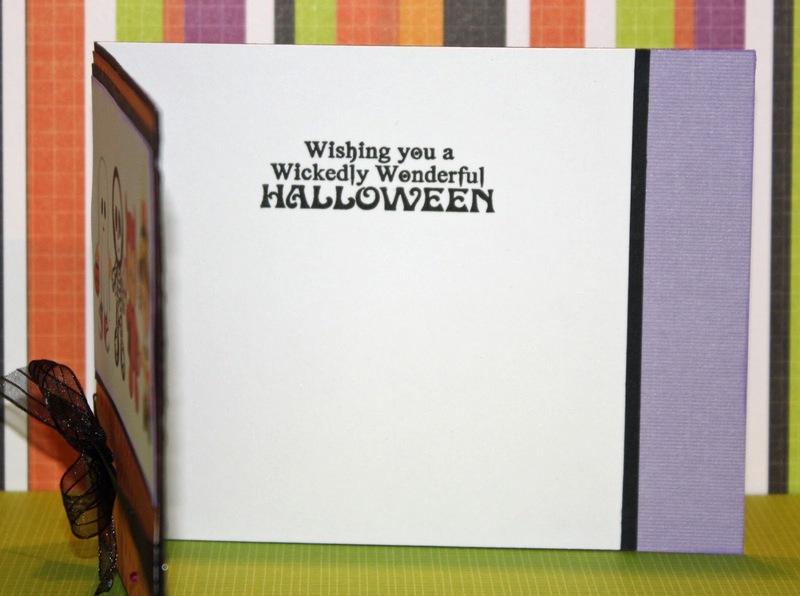 Introducing Goosebumps and an End of Summer Sale! 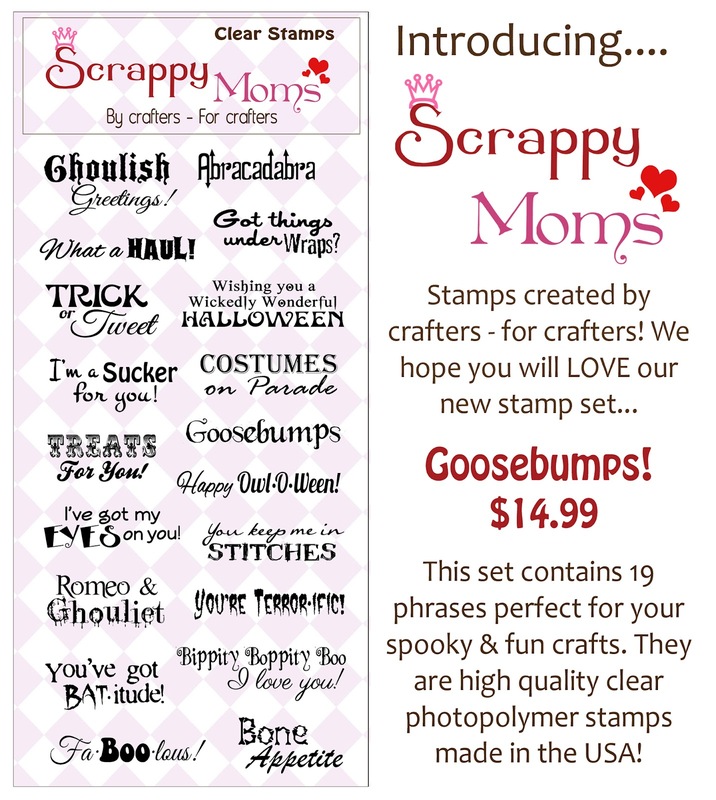 It's that time again - we are introducing a new Scrappy Moms Stamps set.... Goosebumps! I cut a 2.25" by 8" piece of cardstock and folded it at 3.25" to form the pocket. I embossed the top part above the pocket with my spiderweb Cuddlebug folder and then put a strip of ATG tape along both sides of the pocket. The little vampire birdie is from 3 Birds on Parade and I made the little tag by punching both ends of a strip of white cardstock with my Fiskars Upper Crest border punch. 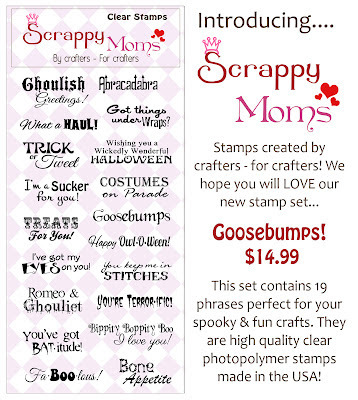 I will have more project from Goosebumps all this week - as will our Scrappy Moms Stamps Design Team (see my side bar) - so please stop by again! Thank you so much for visiting me today - have a wonderful weekend! Terrific Tuesday Challenge - Shape Up! I really had fun with this cut - it's super easy and I think it turned out cute! This is the watermelon from Simply Charmed. I hid the face layer so that I could use a Peachy Keen Princess Faces stamp. I welded two of the base layers together to make the dark green card base. I added a little Honeydew Twine and a small gem in the center of the bow for a little bling. "Once in a Melon" is from SMS The Charmed Life stamp set. 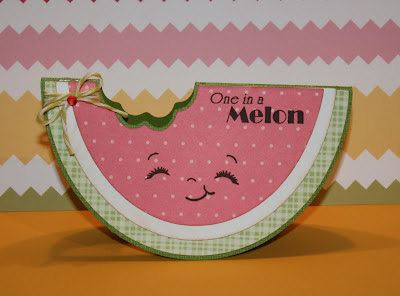 I hope you enjoyed my card and that you will come join us and create your one "Shape" project!